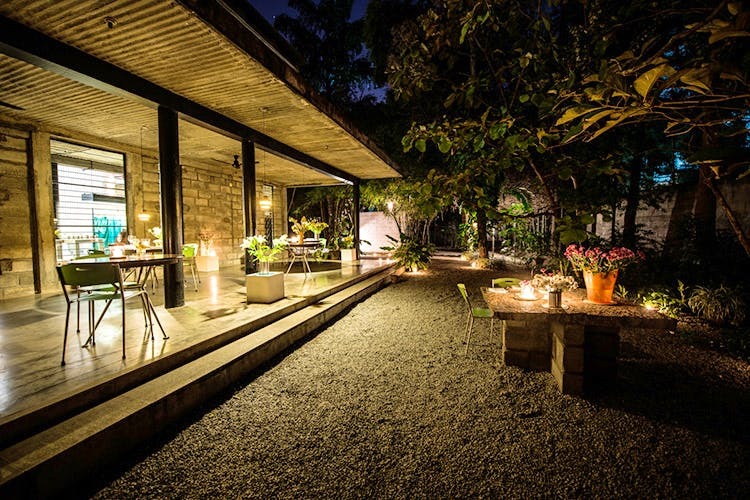 A date in Bangalore is not limited to a candle-light dinner; it goes far beyond. There is plenty of other stuff to do in the garden city and we are going to tell you all about it. Whether you love fancy restaurants, exploring the outdoors, engaging in adventure sports or even taking romantic walks at a garden, Bangalore has a lot of romantic things to do. Follow our guide to the top 20 romantic places to hangout in Bangalore for a successful date night. The Cubbon Park is every couple’s favourite hangout in Bangalore. Go here in the morning or late evening to watch the sunrise or sunset and take a romantic walk in the company of gorgeous plants and flowers. There are a few food stalls outside the park where you can enjoy dosas and idlis after spending quality time with your someone special. Make your sweetheart feel special by taking her to the Lalbagh Botanical Garden. At this place you can enjoy a lovely romantic walk among beautiful, exotic flowers whose fragrances light up the air with freshness. To score a few brownie points, buy her a few flowers from the florist located inside the garden. Located inside the MG Mall, The Tao Terraces is a fantastic place for a romantic date night. The restaurant has a good selection of wines as well delicious choices of food on the menu. The décor is so romantic, that you will think you’re on a romantic cruise in the Bahamas. For the best experience, visit during dinner hours, when the dim lights begin to take effect. The rooftop section of Ebony is the perfect place for intimate conversations with your sweetheart over wine. The food compliments the cosy and laid back ambiance of the restaurant. Ebony is conveniently located within Bangalore, so its very easy to get to the restaurant. 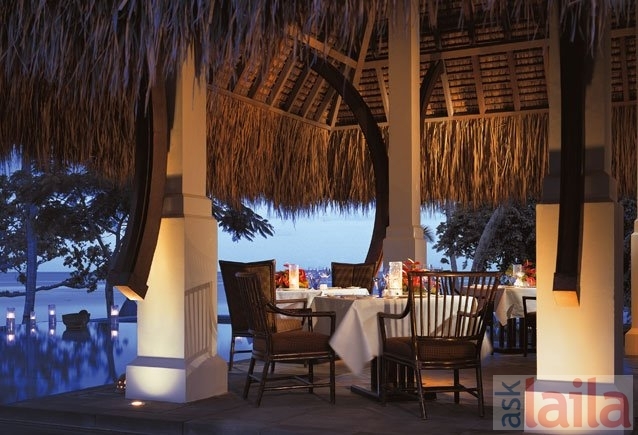 Treat your better half to a lavish dinner at restaurant with a rustic rooftop setting. The tranquil landscape views from the restaurant adds to the romantic setting. There is nothing more romantic than dining and drinking by the dimly lit pool. Take your girlfriend here for a lavish date night, and she will surely be thrilled. If you are planning on going out for a date night, you would want to pick a place that serves good food, amazing wine and has cosy and intimate décor. These are the exact features of a meal at Olive Beach at Ashok Nagar. The place is an excellent spot to treat someone on a first date. Who needs to go to Goa when you have Fava? This place will have you thinking that you are dining at one of those beach shacks in Goa. Rustic wooden furniture, dimly lit lanterns and the laid back ambiance make the place popular as a date night hangout place in Bangalore. This restaurant is the perfect one to pick if you love candle-lit dinners. What makes this place great? Well-spaced out candle lit tables, a garden area with stone tables and a good selection of wines that pair well with the good food. Take your fiancé here for a delightful evening. Rim Naam has been a hot favourite for date nights. Set among lovely trees and decorated with beautiful lanterns, the place is welcoming change from the concrete jungle, i.e Bangalore city. If you and your date enjoy Thai food, the two of you will have an even more special date. A good way to celebrate an anniversary or a romantic date is by going to a spa. In Bangalore, one of the best is Le Tranquille. The place offers great massage and body therapies for men and women. A haven of relaxation, go here to enjoy a peaceful experience and complete rejuvenation. As variety of couples massages and treatments are what await you at the O2 spa. Located inside the post Hilton Embassy Hotel, this spa has a calming and relaxing ambiance, guaranteed to rejuvenate and refresh you. Although there are many places to go to in Bangalore for a date night, for a great experience, we suggest you visit these top 14 places. Think you know some hidden gems? Do share them with us and our readers in the comments below. We would love to know about them.